Couple of the quotes in the above article sure looked familiar. Oh yeah! They were comments left on this site. Newspapers don't have to cite their sources anymore?? Today we chat with St. Joseph Notre Dame coach, Tony Fong (picture and some of the information below courtesy of http://sv.team-asha.org/coaches.php). This past cross country season, Tony's boys XC team finished in 3rd place in the highly competitive Division V race to gain their first podium finish in school history. That followed their 2nd. NCS title in school history as they soundly defeated the Div. V juggernaut University team. For his team's accomplishments, Tony was named East Bay Cross Country Coach of the Year. Tony has been coaching at St. Joseph ND since 1996. In 2011 he completed his 100th. marathon and is still an active competitor. 1) What was your athletic experience as a competitor in high school and college? What sports did you play? Highlights? 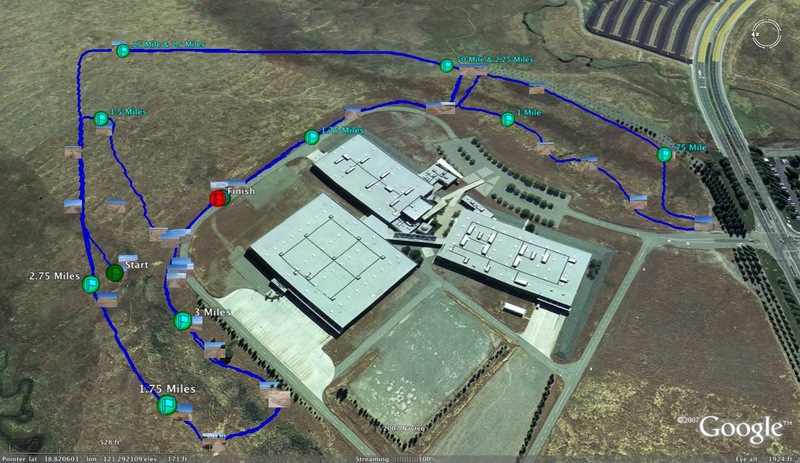 I started running in high school at Newark Memorial High School. It was a surprise to me that my name was on the list for students interested in cross country before my freshman year. My parents had their own business back then and it was their way to keep my brother and I at school for a few extra hours. It was a great experience running both cross country and track and field. I learned a great deal about running from Jack Roach our coach and our freshman class in high school was ranked top 10 in both NCS and STATE. We had 3 runners that could all run under 4:30 for the mile on the team (all Freshmen!). After high school, I studied at CAL Berkeley but did not run on the team but continued running with the cross country runners. 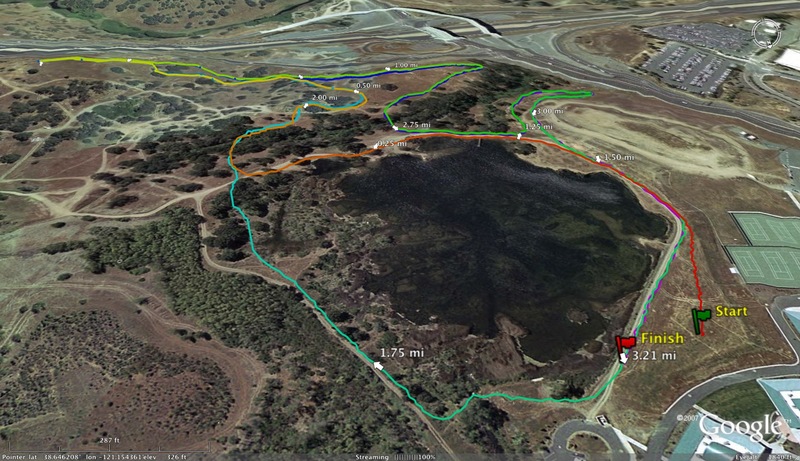 After college, I ran competitively with a local running club, first with Tamalpa in Marin (coached by Mike Fanelli) and later with the West Valley Track Club (coached by Steve Ottaway and Jack Youngren). 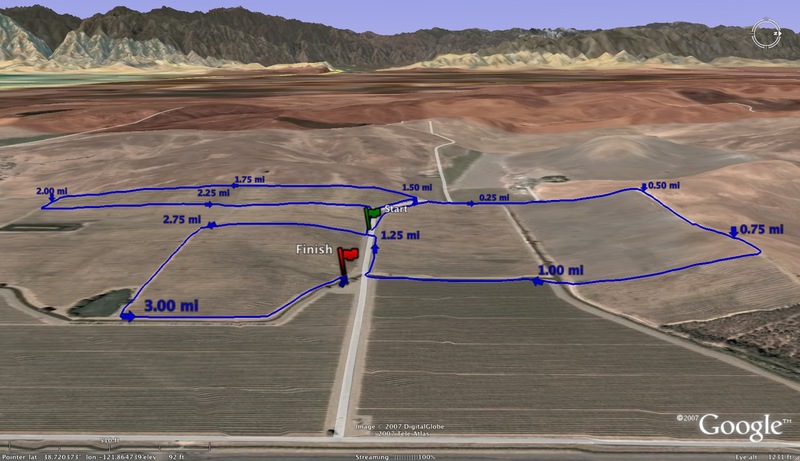 Prior to coaching at the high school level, I coached adults training for marathons and helped with coaching runners who joined our West Valley group. I also helped with local organizations coaching runners at both Team in Training and Team Asha (both groups who raise funds and awareness for local charities). In 1996, I was recruited by Chris Williams (now coach at Dublin High School) to help out with the cross country program at St. Joseph High School. This was my first experience at the high school level. Along with coaching, I work in the biotech industry. I started as a bench scientist at Cetus Corporation doing cancer research and after 7 years, I now manage a sales team that sells products and services to researchers and labs worldwide. Being in sales offers me the flexibility to start my day early and get to St. Joe's for practice by 3:30 (makes for a long day during cross country season). 3) What was your first experience coaching and what did you learn from that experience? What were some of your highlights there? My first experience coaching was with ONLY marathon runners and I took in all the coaching I gathered from my own coaches and during the early 90's, there was a running boom were you saw an increase in participation in most races. After having already run many marathons, I was asked to help out with some of runners taking on the challenges of running a marathon, helping to put together training schedules, and helping with the weekend long runs. After coaching hundreds of runners, I learned that you can't just have one training schedule for all runners but rather you have to personalize it for each individual. Some runners will work with higher mileage, some will work with speed work, and others may need more rest days. 4) When did you first start coaching at St. Joseph Notre Dame? My first year at St. Joe's was in 1996 and Chris Williams had already pulled together a core group of runners. We finished 2nd at NCS that year and made it to the state meet. I really didn't have a plan that year as I was putting together workouts at the beginning of each week. I certainly didn't think about peaking for state and for me, the first year was about figuring out high school cross country. I had the team running way too many invites and ran all the league meets as if it was the league championship. If I had to do it over again, I would first develop a plan for the year and then I would plan for races and workouts. 5) What was the state of the program when you started at SJND and what changes did you institute to get the program headed in the right direction? The team had a tremendous amount of talent and the goal for them as well as most high school programs was to make it to the CA state XC meet. I did not have to change much as far as training rather what I did most was spread out the workouts so that there was a balance for both recovery and peaking during the end of the season. The team did hard workouts the day before meets and the mileage increased from week 1 to the end of the season. I added interval workouts on Tuesdays (also Thursdays if there was not a meet). I would have them do one long run on the weekend (up to 12 miles). I built up their mileage from 30 miles at the beginning of the season to around 75-80 a few weeks before the end of the season. I also added a more structured summer training schedule mostly for the varsity runners. 6) Since your days as an athlete to now, who have been your coaching mentors? I have learned much from my coaches in high school (Jack Roach and Jack Marden) and have to this day continued to ask for advice from the coaches from West Valley (Jack Youngren and Jacob Michaels). I am also fortunate to have many excellent coaches in the BSAL (Bay Shore Athletic League) that have helped me with sound training advice and becoming more familiar with high school logistics and rules. This includes Jeff Rogers and Dennis Mohan from St. Mary's, Doyle O'Regan from Piedmont, and Peter Brewer from Castro Valley (now at Northgate). 7) Your boys made the podium this past season by finishing in 3rd place in Division V. Tell us a little about that team and the road to the podium. Last year's team was indeed one of the fastest and best team I have coached in my high school coaching career. I believe that having kids buy into the team concept is one of the toughest challenges coaches face each season. Individually for athletes, some have the talent to run fast, some need to put in extra training and some like to run on their own. Kids (like adults) have their own goals and priorities and if for one season you can get them to buy in on a specific goal which in our case was to make it to the podium at state. This will help to get them to train together and work as a team. With the help of team captain Nick Ratto, the kids worked hard over the summer (as a team) and did not over train during the season. They really supported each other during their workouts and every member of the group would help push each other during the daily workouts. 8) Who have been your more note worthy runners that you have coached and what were some of their accomplishments? Several of my former runners have gone on to run in college: Alex Mason was an outstanding middle distance runner and he was my first runner cross country that won NCS his senior year. He ran for Fresno State and held our school record for the 800 (1:55.91) until it was broken this year by Ratto. Neil Rodrigues was another of my outstanding cross country and track runners. Like Alex, he ran at the state level in both XC and Track (3200) and still holds the 2 mile record (9:22) at St. Joe's. 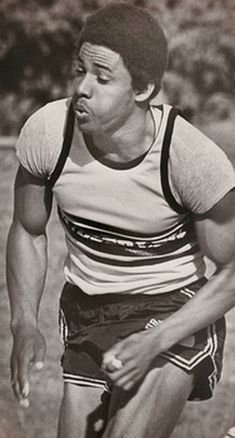 Neil also ran in college for Washington University in St. Louis. This year, Ratto, Gabe Arias-Sheridan and Louis Rodrigues all have a chance to set school records from the 400 to the 3200. 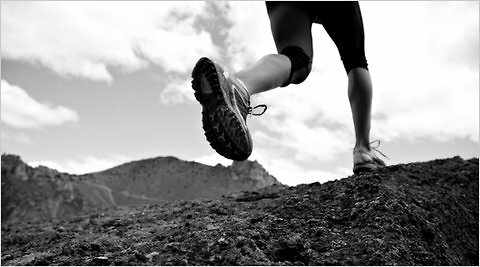 9) From your perspective, what are the keys to being a successful distance runner? After 16 years of coaching, I have seen hundreds of kids come through the cross country program. I have seen kids start with a mile time trial that is over 7 minutes and they end of being the star of the team. I have also seen kids run under 5 minutes on their first time trail and they never get any faster. There really is no secret to long distance running: you have to work hard, listen to your coach, set specific goals and do what ever it takes to get there. I always have the team run a timed mile early on in the season which helps structure the workouts specific to each person. You can't have everyone on the team run 65 seconds 400's !! No matter what they run for the timed mile, I document all the workouts, training runs, and race results. 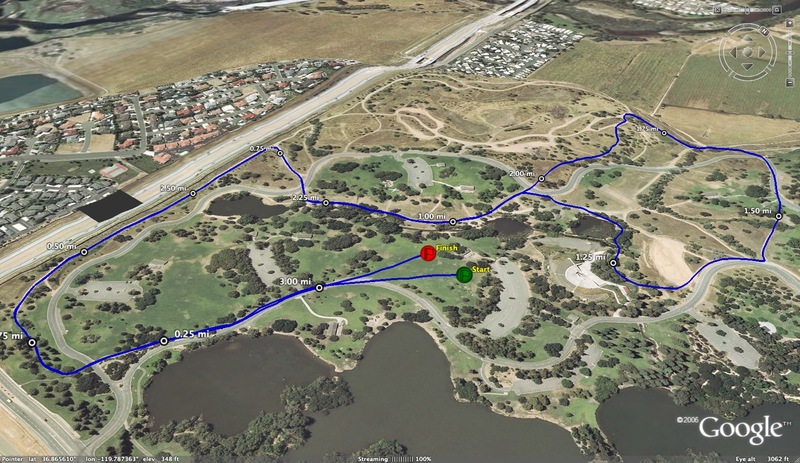 This is a great way to help track the progression of each runner on your team. I have learned over the years that you will get that one runner that will be a state caliber runner but unless you get 5-7 fast runners it will be difficult to make it. My most successful runners have been middle of the pack runners that have learned to run the hard days with 100% effort, relax during the recovery days, and focus on the long runs(with hills) on the weekend. 10) What are some of your key workouts in cross country? In track and field? For 800? 1600? 3200? I have specific work outs for specific reasons. For endurance, I have the kids do long tempo runs of up to 15 minutes, for leg turnover I have the kids do triangles, for VO2 max workouts the kids do tons of 400's with minimum recovery. I can't emphasize this enough, most cross country season are only 10-12 weeks long (from day one of official start of school to STATE) if the kids don't have the summer base mileage it is nearly impossible to start hard track workouts in week one without your kids getting injured. 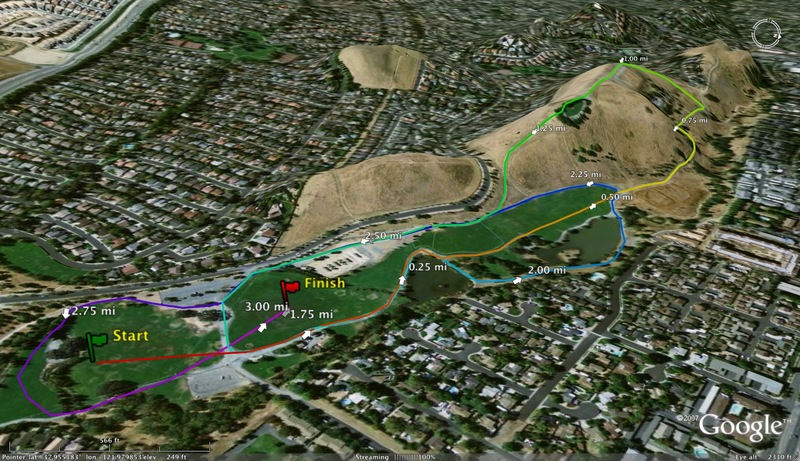 Workouts for the 800, 1600, 3200 are much different; 800 runners do lots of hill repeats, strengthening, and short intervals. Milers will combine the workouts of the 800 and 3200 runners. 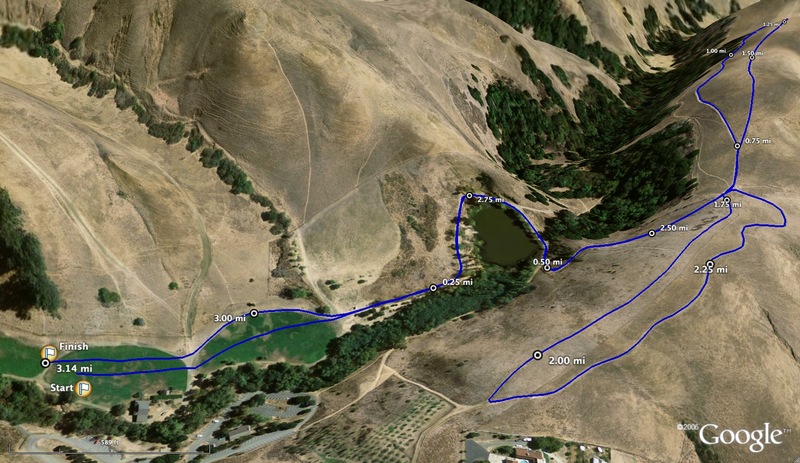 The 2 milers will do longer runs on their easy day and do more tempo workouts (mile repeats) during the week. On the weekends, the 800 runners will do an additional track workout while the miler and 2 milers will run hills and long runs. 11) What is your advice for a young coach taking over a xc program? As a coach at the high school level it is so important to start with a key core group. You will always have that one fast runner (and if you are lucky a few) but over time you want to have enough runners from year to year to have a chance to make it to the state level. Make it fun!! Running 5-10 miles may not be what kids have signed up for. 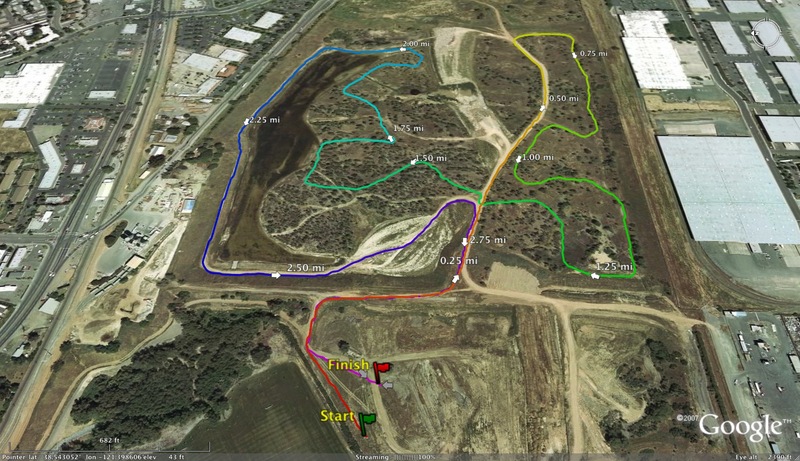 Running a few local invites and fun races will give the kids something to look forward to each season. From the teachers to parents to their classmates get as many people involved in your program. This year we had the volleyball teams and basketball teams drive up to the state meet to cheer us on. We have alumni events to get the school and parents excited about the season. Take time to post results on the school web-site and always try and get results in the paper (this is great publicity for the school and kids love to see their names in the paper).Take a look at the middle school running programs and get involved with the local running clubs as this may be a great resource for incoming freshmen. Spend time doing non running stuff: Go to see a movie together, have a training run that ends at In-N-Out or Jamba Juice! 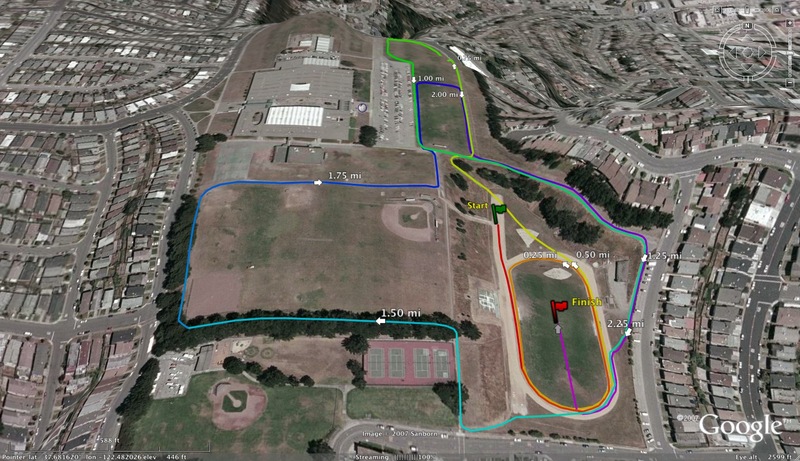 Over the years I have seen an increase in all cross country and track programs all over the bay area, from youth programs to the high school level. I would tell all of those that are involved in any running program spread the word, volunteer your time at local races, support other sports at your school and ask them to support the track and cross country programs. We may not have the glamour of football, basketball and baseball but at the high school level, college level, and as adults we have a chance to run in a race almost every weekend. At the very least running cross country will help you get into shape and condition for all sports. 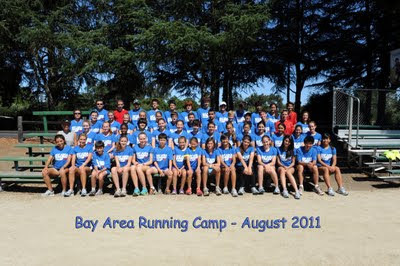 Are you looking for a local running camp this summer? 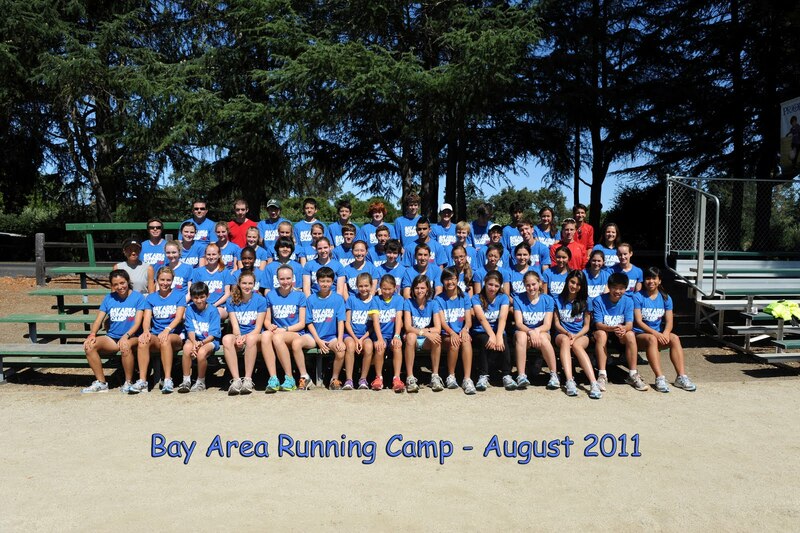 Check out the Bay Area Running Camp which will once again take place at Woodside Priory School in the city of Portola Valley (next to Palo Alto) on July 23rd through July 27th from 8am to 12pm each day. The camp is headed by former Stanford University coach Dena Evans and myself. By registering before April 1st, you get $50 off the regular fee of $300. Included with your registration will be a pair of New Balance training running shoes as well as a camp shirt and other goodies. We have a terrific group of speakers including: Dr. Clyde Wilson, a renowned nutritionist, and Grant Robison, former Stanford University and 2004 Olympian. Below are the campers from last year's camp. Sign up now before camp is full. For the adults that visit this site, check out the adult version of the camp which will take place on the same dates from 5:30pm to 8:30pm each day. Besides the great speakers, including one of the most sought after podiatrist for runners- Dr. Amol Saxena, the star of the adult camp is our Michelin trained chef, John Barone. John worked at a little restaurant in Yountville that you may have heard of… The French Laundry. The food following each day's run is worth the price of registration alone but you get much more including: shoes, camp shirt and terrific advice for the self-coached runner. If you have any questions about the camp, please email Dena Evans at dena.evans@gmail.com or albertjcaruana@gmail.com. If you have time to spare, can you spot the athletes entered in the wrong events (There are a few doozies)? As posted in a comment below. Check out the list by a visitor to this site. Who is missing? Who should move up or down? Thoughts? 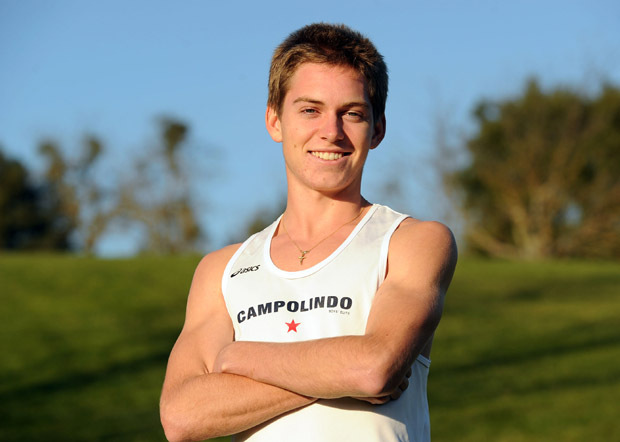 Today we chat with Campolindo HS senior runner, Thomas Joyce (picture to the left courtesy of insidebayarea.com). At yesterday's Azusa Distance Meet of Champions, Joyce stunned many with his big breakthrough in the 1600m. as he powered his way to a 4:11.77 mile victory in the race preceding the Boys Dream Mile Qualifier. His time, which converts to 4:10.35 for 1600m., was the 2nd fastest of the day, trailing only Blake Haney's 4.11.55. He has also PR'ed in the 800m. this year running 1:58.37 as well as lower his 3200m. time with a 9:16.83. Joyce is following up his outstanding cross country season were he won the NCS Division III individual title and followed that up with a 3rd place finish at the California state meet. 1) When and how did you get into running? What other sports have you played? I played a little bit of of soccer in elementary school and in 8th grade I dabbled in football but it was never really my thing. My mom was tired of me sitting around the house and demanded that I go out for cross country my freshman year. At first I wasn't a huge fan but I began making pretty good progress with it and kept coming out. 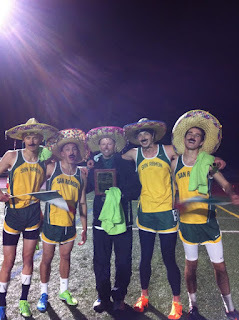 2) What were some of your accomplishments from your freshman year in both xc and tf? PRs? I recall that I kept making huge strides with every race my freshman year. My first time for a two-mile on the season was 15:30 and I kept whittling it down until I ran 12:20 at the DFAL frosh-soph championships and took 17th. I was almost top 7 for the frosh-soph team then. I ran a 5:15 1600m time trial during the xc season and in track I had an unfortunate injury that kept me sidelined for the entire season. 3) As a young runner on the Campolindo xc and tf teams, who were the runners that were role models for you and you tried to emulate? When I was a freshman, the seniors on the team at the time were extremely encouraging and got me very dedicated to improving as a runner. Nate Cox, Michael Brondello, Colby Pines, Robert Pulford, Tim Baffi, and Ross Geiger were all runners that I tried to emulate. 4) Is there a particular race that you remember that first gave you the confidence about your potential running success? Our second-to-last race of the 2008 season was a meet against Dublin and Dougherty Valley. I remember going all out and finishing the race ahead of a lot of kids that would normally beat me at the time. 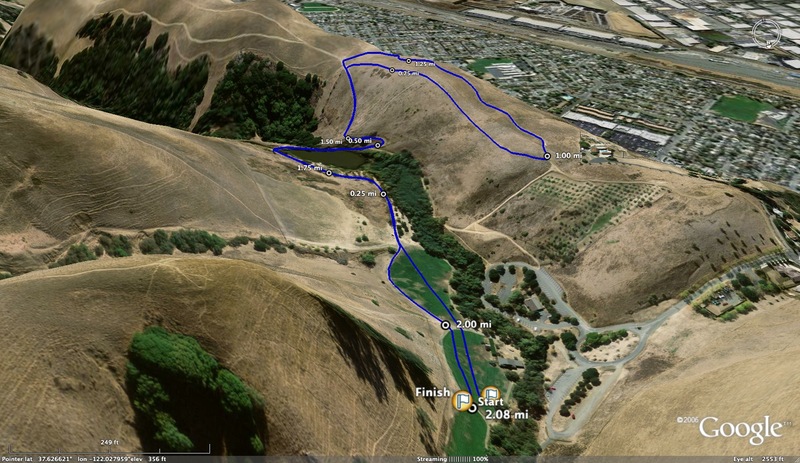 I think my time was 10:56 but the course was a bit shorter than two miles. My mile pace was 5:45, which was a whole lot faster than anything I had previously run. 5) What were your highlights during your junior season in both sports? My junior xc season was really my breakout season. The races that I'll remember most are the Stanford Invitational where I came out to surprisingly lead my team and contend for the win. Unfortunately I took 2nd to Forrest Schaffer of Petaluma. The other race that I'll remember from that season is the State Championships. I really surprised myself at this race and ended up taking 5th overall in 15:31 and just barely edged out Luis Luna at the end. In track my most memorable race would have to be the Arcadia Invitational. I was in the seeded 3200m, which was the 2nd fastest heat and I got 18th with a time of 9:18, which ended up being my PR for the season. 6) You missed the state track and field meet in the 3200m. by .07 last year. How did that race help motivate you as you headed into your senior season in xc? That race was such a huge disappointment for me that I resolved to never suffer through anything like that again. Afterwards I just felt like I hadn't run the race with any sort of courage and I believed myself to be fitter than all of my track and field times indicated. I was single-minded throughout the summer and going into my senior xc season to win NCS and the state meet. I ended up surprising a great deal of people by taking NCS but I did come short at the State Championships, but not for lack of courage. 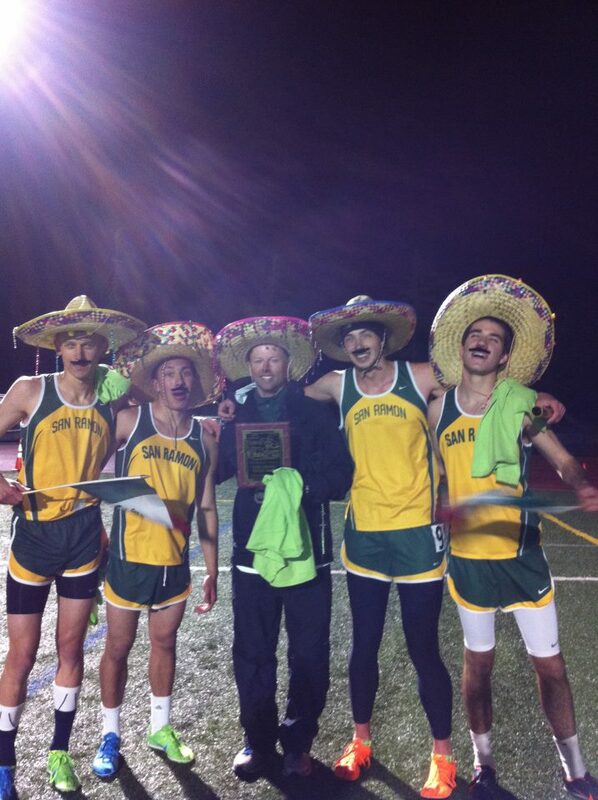 7) What were your proudest achievements during your last season in xc (individual and team)? My proudest moments both individually and as a team were definitely at the North Coast Section Championships. I was able to upset the favorite, Luis Luna, which not a lot of people saw coming, and my team won and set the record for the fastest team time ever run on Hayward Park. We edged out our 2008 squad by 2 seconds for the record and overcame a very strong Piner squad. 8) Tell us a little about your winter training and what you did to help you prepare for this track season. What was your typical average miles per week? Over the winter we did a lot of base mileage and tempo work. The top runners on my team hit 65-70 miles on our peak weeks and had a lot of fun getting fitter in preparation for the coming season. 9) Tell us a little about your coach Chuck Woolridge and how he has helped you develop in the runner you are today. I thank God fairly often that for all the schools that I could have gone to and for all the sports that I could have tried out, my miserable freshman self somehow landed in Chuck's xc program at Campolindo. I can say with a lot of confidence that I wouldn't have come nearly as far without his guidance. Even when it looks grim at times, his style of training has always paid off for me in a big way. 10) As you look back at this season's track training, what do you feel have been the key workouts for you that have helped you improve your track times from 400 through 3200? I think that my Achilles-heel coming into the season was my leg speed. Last year in track I ran 2:03, 4:22.8, and 9:18 in the 800, 1600, and 3200 so speed was clearly an issue. To address this over the winter I started doing rope stretching and rolling out every day to hopefully build my explosiveness and I tried Epsom Salt baths to keep my muscles loose. I am also integrating power cleaning into my weight room circuit. I think that all of these things have really improved my leg speed. So far this season I've hit a PR at every distance, the most recent one being the 4:11 full mile. 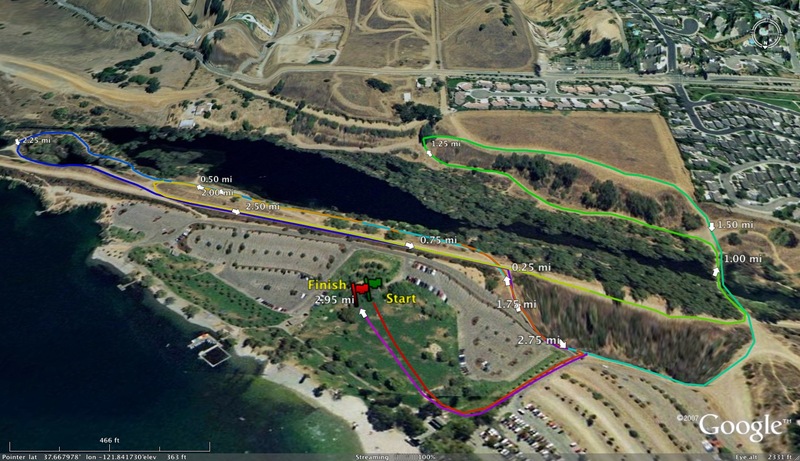 11) In regards to your race yesterday, what was your plan going into the race and how did the race unfold? My plan for the race yesterday was to try to grab our 1600m school record of 4:15.7. I hoped to run consistent 63.5s to wind up at 4:14. But I was also determined to not be afraid of winning the race should I feel it in my power to do so. I was able to surprise myself by going faster than my intended splits and closing quickly to grab the win and a huge PR in a very competitive field. I began the race trying to be conservative while the leaders took it out fast and then I reeled them in and was able to get the win in the last couple of meters. I guess I'd like to give a shout out to Luis Luna. That guy is a machine and he's my favorite person to race. I've gotten a lot better by chasing him through the last two years and I've really enjoyed the rivalry that's developed between us, even if it is often one-sided in his favor. In addition to that I'd just like to thanks my family, friends, teammates, coach, and the running community for all the support they've given me. Thanks guys! Today we chat with Monta Vista HS runner Kevin Bishop. He has been one of the top runners in CCS for the past 2 years as he has posted some of the fastest times in CCS history on the Mt. SAC course (14:50 as a junior) as well as his 8:59.82 3200m. run last year at the CA state track and field meet. Kevin has been rolling during the early part of his track and field season winning the highly competitive 1600m. at the KBell Invitational with a then PR of 4:17.22. He improved his mile PR yesterday at the Azusa Distance Meet of Champions as he finished 3rd in the Boys Dream Mile Qualifier in 4:13.91 (4:12.5 approximately for 1600m.). 1) When did you first start running and competing in cross country? What about track and Field? Have you played other sports? I guess you could say I started running in 6th grade, but it was really just messing around for a few weeks. It was a great experience, we had a fantastically energetic coach named Andy Murray, and he's probably the reason I'm still running today. He got me hooked on running. I didn't race XC until my sophomore year. As for other sports, I've been a competitive swimmer for Palo Alto Stanford Aquatics since I was 8 years old. Swimming was my first athletic love, and I just could never bring myself to give it up. 2) Who were the runners you looked up to in CCS as you were first starting out in high school? I wanted to break Phil MacQuitty's frosh 3200 record, but then I realized that was ridiculously hard. I probably looked up to our top runner, Kranti Pedadda, the most in CCS. Great guy, so intelligent, and ran for all the right reasons. 3) What were your PRs during your freshman season in both sports? Highlights? Freshman year I only did track, and I ran 4:37 and 9:41. The big highlight was SCVAL finals, where I had probably the best race of my life and ran 9:41, a 18 sec PR, and made CCS. Tunnel vision for at least a half hour after that race, soooo painful!! 4) What about your sophomore year? Highlights? In XC I ran 16:14 at Stanford invite, got 5th in D1 behind Darren Fahy. That, and getting 5th at CCS D1 (15:30) were the biggest highlights. In track I ran 4:36 and 9:21 at Arcadia. I was 5th at ccs in the 3200. Highlight was definitely Arcadia and winning the open heat there. 5) Going into your junior year, did you do anything different in the summer in terms of training? What was your weekly mileage? The biggest difference was having a cohesive plan. I don't think we made a huge mileage jump (never kept track before then), maybe 30-40 mpw with a 50-mile week once. But Willie Harmatz was giving me workouts at this point (I had no high school coach that summer) and I had a lot of confidence in his coaching ability, so I knew the season would go well. 6) What were some of your highlights from your junior season in xc? Biggest highlight was 9th at the Mt. SAC individual sweeps race, 14:50 was the fastest CCS time since Ben Sitler on that course. Also won Stanford D1 race in 15:28. 7) You broke 9:00 in the 3200 in last year's state track meet. 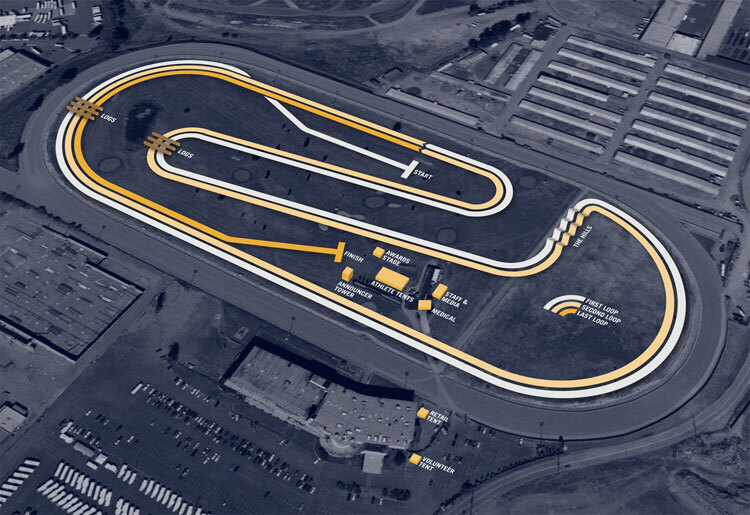 Tell us a little about that race, how it unfolded for you and what was your plan going into that race? It was one of those races where everything just falls into place. I got the inside lane on the outer waterfall, and just sat in the middle/back of the best pack in state history on the best weather night in state history. It was impossible to run slow. I moved up a bit on the 3rd 800 like I planned, saw 7:57 on the clock with 1 to go and thought "62.8. I can do this!" No idea why I thought of that split, but I ran exactly that and finished as the happiest 12th place finisher you've ever seen. 8) Tell us a little about your coaches and how they have helped you develop into the runner you are today. I've been truly blessed to have a fantastic support structure throughout my career. I mentioned Andy Murray, he got me excited about running. Jeff Payne was my coach when I was an underclassman, and he made my running sustainable. He taught me how to properly approach training and racing, balancing fun with hard work. I was truly saddened when he had to step down when his wife went into remission for cancer. Willie Harmatz has allowed me to progress into the higher levels of high school track and taught me to train efficiently. He also taught me to believe in the work I put in and to expect more of myself, not to overthink races. And I can't forget Mike Dudley, who runs a great running camp during the summer that Richard Ho and I do, called Dudley's summer boot camp. Coach Dudley and his wife Nancy are incredibly selfless and giving with their time and dedication to everyone who does the camp, and it's really an honor to know them. My current High School coach, Kirk Flatow, is one of the best high school coaches around he's really opened my eyes to the resources available to those who ask. He's gotten Olympic gold medalists and pro runners like Stephanie Brown-Trafton and Josh Cox to speak at our school, and he even hired 2008 US triple jump champion Erica McLain to coach our jumps team!! We have a current Olympian coaching our jumps team!! How cool is that? 9) What about your training partners. How have they helped you improve as a runner? I honestly believe that Chris and Sean have been the reason I am where I am today. When you train with a pure 800 guy like Sean who can drop 57s in practice without trying, or a guy like Chris who has split 49 in a 400 and runs 4:08 like he does, you develop a kick and a race sense that allows you to compete well in every race you enter. People probably didn't expect me to be competitive in the Azusa meet, but training with Chris and Sean makes all things possible. And moreover, I've made two of the best friends I will ever have. It is a blessing and an honor to run with them, and I get to go to college with Chris and see Sean frequently since he's staying in California for college. 10) What do you feel are your key workouts during track season that give you the confidence to compete with the best in state? 11) You will be attending Stanford University next year. Can you describe the recruiting process and how many other schools were in the mix for you? With that said, I was recruited by a bunch of places, but got called by Stanford, Oregon, UCLA, Harvard, Brown, Oklahoma State, UNC, Georgetown, and Columbia. I took visits to UNC, Oklahoma State, Harvard, and Stanford in that order. My final visit was going to be Oregon, but once I saw Stanford and got in academically, it was a done deal. Eat raw red peppers before your race, congrats to Blake Haney on winning the Azusa race, and thanks for the interview! List of entries are listed below. 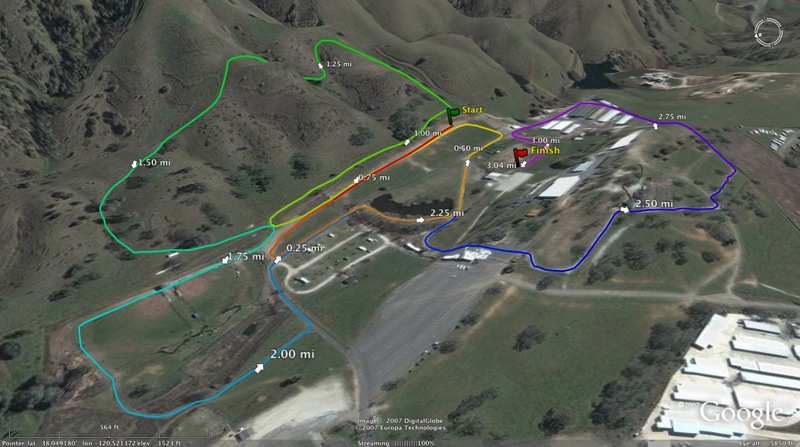 Some of the top distance runners from Northern California will be racing tomorrow in loaded fields. Rain or shine, join Girls To Women and participants from around the bay area for The Margaret Wright Wellness 5k Run/Walk! Online registration closes Friday, March 23rd at noon so register today! Please note that registration prices will increase by $5 for event-day registrants. 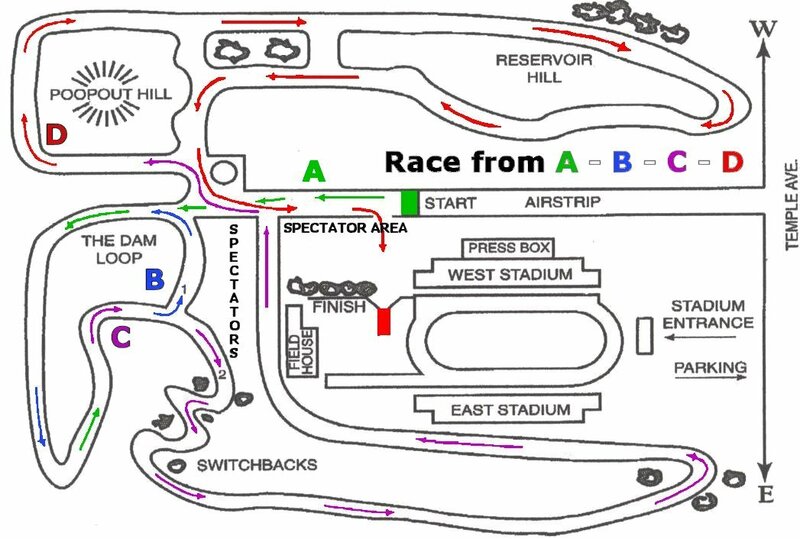 Event-day registration opens at 8am, and the run/walk starts at 8:45am. REGISTER ONLINE TODAY! Family friendly activities include: a fun obstacle course put together by The Fit Kids Foundation, face painting, and music performed by local youth. Raffle tickets can be purchased online or at the event for only $5 per ticket or $20 for five tickets. The winners will be announced at the event closing (around 10am, at same place as registration). Winners must be present to receive the prizes. Any omissions? Please post them below in the comments section. Don't forget to include meet and date of performance. John Lanzavecchia North State Relays (NS) NEW! Big Cats Relays (SF) NEW! I will post more as soon as I get them. If you have results of other NorCal Invitationals, send them my way at albertjcaruana@gmail.com and I will post them.